We'd like to talk about profile of the university as it was St. Andrew's Day (The National Day of Scotland) on 30th November. St Andrews is a relatively small coastal town in the east of Scotland. It is named St Andrews as legend has it that some of the bones of St Andrew were brought to be buried there by a monk (St Regulus) in the early Middle Ages. In addition to the world famous university there, St Andrews is also known as "the home of golf". The world's governing body for golf, the R&A, is based there, as is the world's oldest golf course. Founded in the early 15th century, St Andrews is Scotland’s first university and the third oldest in the English speaking world (after Oxford and Cambridge). Teaching began in the community of St Andrews in 1410 and the University was formally constituted by the issue of a papal bull in 1413. As explained here, the Guardian Rankings are the best to use from a student perspective. 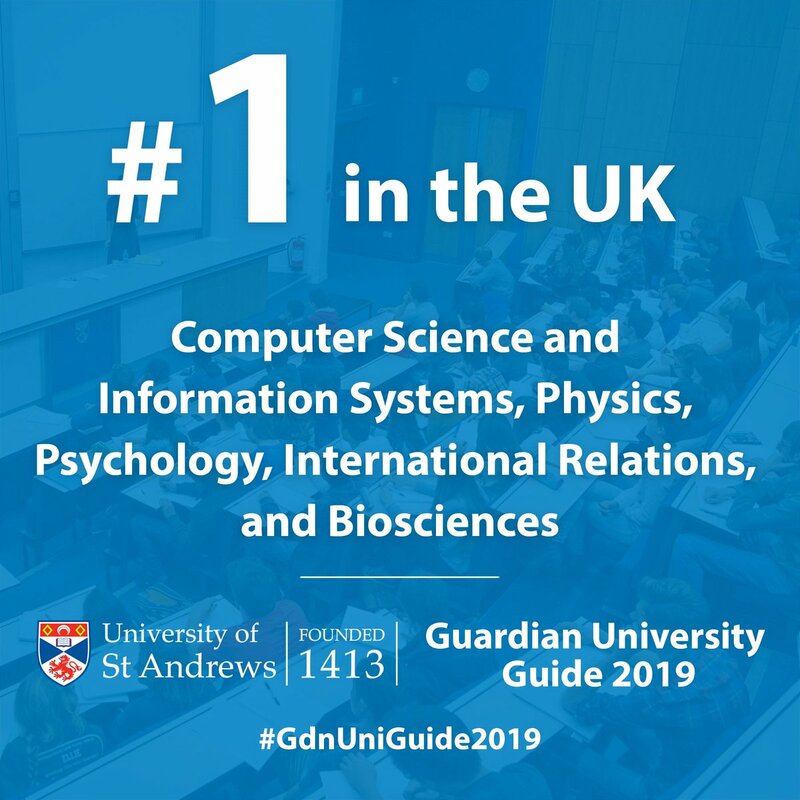 St Andrews is ranked 3rd overall in the UK, behind Oxford and Cambridge in the 2019 rankings. In the subject-specific rankings, the university is ranked 1st for Physics, Psychology, Politics, Biosciences and Computer Science. It is also ranked 2nd for English, Business, Management & Marketing, Theology, Philosophy and Maths. A weekend in which freshers are paired with their academic "mother" or "father" (3rd year mentors), rounded off with a massive foam party. A traditional swim in the freezing North Sea on the 1st of May. A weekly Sunday walk, always partaken in the university's distinctive red gown. Prince William and his wife Catherine both attended the university.